President Pichon, third from front, and General Gouraud with officers and dignitaries. 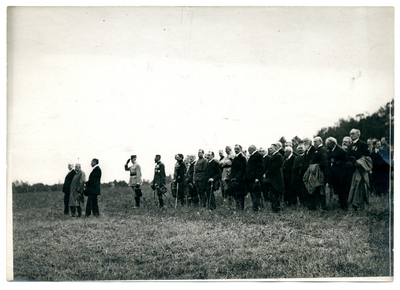 "Presentation of the flags to the Polish Army. President Pichon and General Gouraud." Military & Wartime Photographs. Fronczak Collection. Archives & Special Collections Department, E. H. Butler Library, SUNY Buffalo State.